Google Analytics' defaults to Last-Non-Direct click for its attribution model. Google Adwords's uses Last Click attribution for its reports. If you do not understand the difference between these two, read on. To attribute is to regard something as being caused by it. Marketing attribution is an approach which links marketing spend on various customer touch-points to its impact, usually revenue. The goal of every marketing manager is to maximize the revenue earned. This is accomplished through an efficient and high ROI-deployment of the marketing budget. For this, managers track efficiency of marketing spend in generating revenue using attribution. Before a customer purchases, he/she is exposed to multiple marketing messages. These messages might be in the real world (TV, Print, Radio, Media, Direct Mail), or via the various devices (PC, Mobile, Tablet) which are being used by the customer. Marketing attribution forms the basis for further allocation of the marketing budget. This is because it is almost impossible to estimate the relative importance of each touch-point in the final purchase decision accurately. 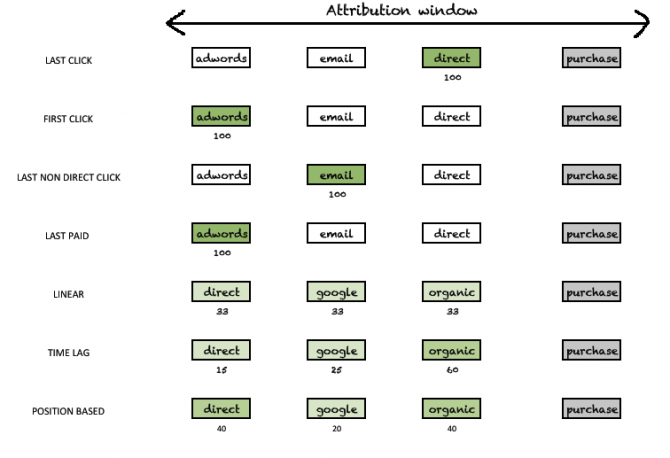 It is important, therefore, to understand Attribution Window, Path Length, Media-Mix and Cross-Device Behaviour. The duration required to make a purchase decision at the customer touch-point varies from a fraction of a second to a few months, if not longer. There are many factors which influence this duration (ticket size, complexity of purchase path, type of product), and quite a few of these factors might vary over time. The purchase decision evaluation process is kicked off because of a need. The duration of time for which a marketing touch-point is considered to be potentially attributable is called the Attribution Window. While there cannot be a theoretical upper-bound to this duration (for example, a consumer might have seen an ad many months ago), it is important for this number to represent almost all purchase decisions without being too long. It varies for different brands from 7 days to 60 days; longer durations may be used, but a duration of 30 days remains the most common. The Attribution Window ignores the longer term benefit of branding, which accrues for a brand, for the marketing touch-points and the spends incurred for them. Each brand needs to find its own Attribution Window. In reality, the Attribution Window of a brand is the default setting in its web analytics package (30 days for Google analytics and 30 or 60 days for Omniture). During any purchase process, the consumer interacts with multiple touch-points. Each such interaction is a point on the customer’s journey with the brand. The length of the path is the number of such interactions. The path length is influenced by the complexity of the purchase decision, but also by the intensity of online advertising services. 35% transactions have one interaction with the brand. At the same time, 30% transactions are done after 5 or more interactions. If there was only one marketing channel, the attribution problem would be simplified to an aggregate of one. The return from the channel would be easy to calculate as all revenue could then be attributed to the single spend. However, because of multiple channels in the media mix, the influence of each channel on a sale is complex to isolate. Attribution models are used to extract comparable performance parameters for such situations where there are multiple touch-points in play. Here is an attempt to explain the various models using a typical customer path. Diagram: How would each attribution model work for the same customer-touchpoint combination? These models are available inside Google analytics . Google analytics also allows you to customize models and compare them. For starters, having a single model might not be ideal, and you might need to use different models in parallel. For example, a last paid-click model might be in use to compare the efficiency of paid channels on revenue, while ignoring free channels like Direct visitors, Email and Organic. At the same time, a First Interaction model might be required to measure the effectiveness of marketing channels in introducing new visitors down the funnel. Secondly, Attribution is an aggregate measure and not an incremental or marginal measure. Ideally, a marketer should know the cost of generating an incremental dollar of revenue for each channel and work with the lowest priced channel. However, attribution gives a measure of the average cost of generating revenue. Third, Web analytics driven attribution does not account for the impact of any offline advertising. So, for a brand with campaigns on TV, print or radio, the efficiency of all digital channels will be over-stated. As an example, when such a brand ramps up its print ads, its impact on digital will show up as 1) A higher CTR on ads on generic terms because of higher brand recognition, 2) an increase in the number of brand search impressions, 3) an increase in conversion driven by an overall increase in consumer interest, and 4) higher open rates in emails. This will mean that the ROI of paid and email channels will increase. Finally, simple attribution models struggle to cope with customers using multiple devices – desktop, mobile, tablets. Attribution works by identifying the customer using a cookie. This link is broken when the customer moves across devices. 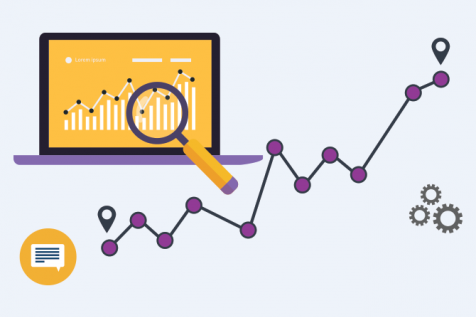 Why Should You Still Look at Attribution Seriously? Marketing attribution models are continuously improving in quality and agility. 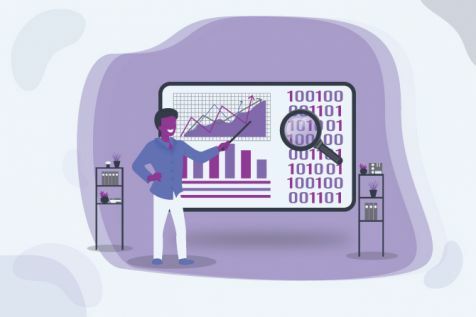 While the caveats above are true, marketing attribution gives the brand manager a better picture of the relative efficiency of various channels, as well as an excellent continuous insight into consumer behaviour, which enables better decisions.